Explanation: The center of our Galaxy is a busy place. 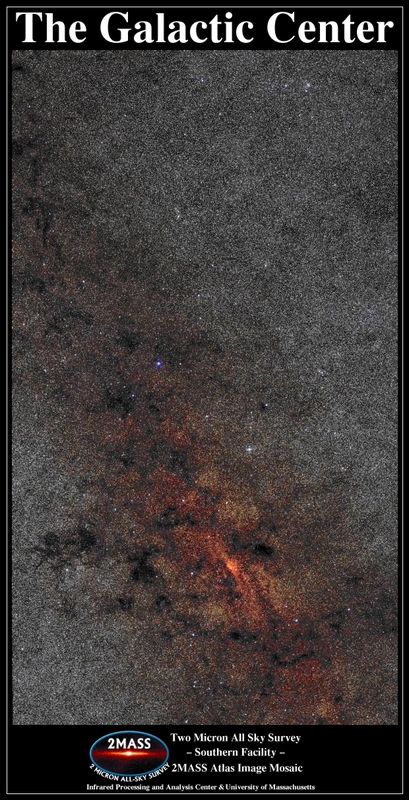 In visible light, much of the Galactic Center is obscured by opaque dust. In infrared light, however, dust glows more and obscures less, allowing nearly one million stars to be recorded in the above photograph. The Galactic Center itself appears on the right and is located about 30,000 light years away towards the constellation of Sagittarius. The Galactic Plane of our Milky Way Galaxy, the plane in which the Sun orbits, is identifiable by the dark diagonal dust lane. The absorbing dust grains are created in the atmospheres of cool red-giant stars and grow in molecular clouds. 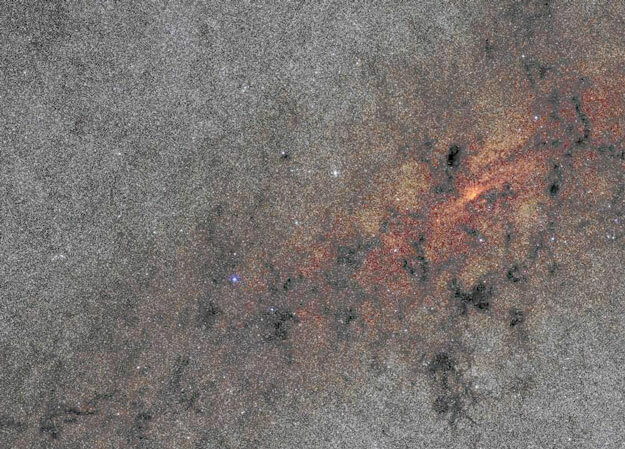 The region directly surrounding the Galactic Center glows brightly in radio and high-energy radiation, and is thought to house a large black hole.